The 'Live Below The Line' campaign, ostensibly aimed at highlighting the plight of the poor, seems to have turned into yet another conduit for putting people who are already privileged in the limelight, argues Maya Oppenheim. And yet, rather than being a way for people to genuinely empathise with the hard realities of poverty, it seems the intentions of well-meaning participants have got lost on the way. From the end of April to the beginning of May, social media streams were inundated with self-congratulatory selfies of tasty, wholesome dinners and, before long, the campaign seemed to have become yet another self-centred fitness fad or arbitrary test of willpower. For five days, participants continued to cruise to work by car or public transport, blast their heating, flaunt ample wardrobes and empty their well-stocked kitchen cupboards. Photos of quinoa salads, sourdough pizzas and Tuscan kale went viral on Facebook. What was supposedly an “anti-poverty challenge” felt like yet another health vogue. In reality, apart from learning how it feels to eat on a shoestring for less than a full week, few participants have come anywhere close to the bleak reality of the 1.2 billion people who actually live on $1 a day. Indeed, rather than participants dealing with cooking fuel costs, partakers were able to use elaborate cooking equipment and £200 smart-phones to post their photos online, hardly the most authentic representation of the drab actuality of deprivation. Furthermore, for those who couldn’t quite manage the five day challenge, the campaign suggests “holding a #belowtheline dinner party to get people to empathise with the issues surrounding poverty.” Asides from being somewhat distasteful, the #belowtheline dinner party is likely to be about as enlightening as locking yourself in a bachelor’s pad in an attempt to “empathise” with a convict on death row. Unlike this rather gimmicky game, with its long list of arbitrary rules and prizes, poverty isn’t some ‘alternative lifestyle’ challenge or hobby for people to dabble in. It’s not an indulgent week-long test of personal willpower that ends with a celebratory lunch. Poverty has no neatly defined guidelines apart from the fact it is still there when you wake up in the morning. It is, ultimately, about not having a choice. As such, the idea that you can simply dip your toe into human suffering for a week is spurious and patronising to those who actually live in poverty. Indeed, more attention is given to the high profile celebrities who participate in the ‘challenge’ than the very issue they are ostensibly trying to ‘highlight’. Unlike those living in poverty, however, who are routinely shamed and blamed for their plight, participants in this campaign expect, and receive, accolades for accomplishing what is, in essence, a self-focused gesture. 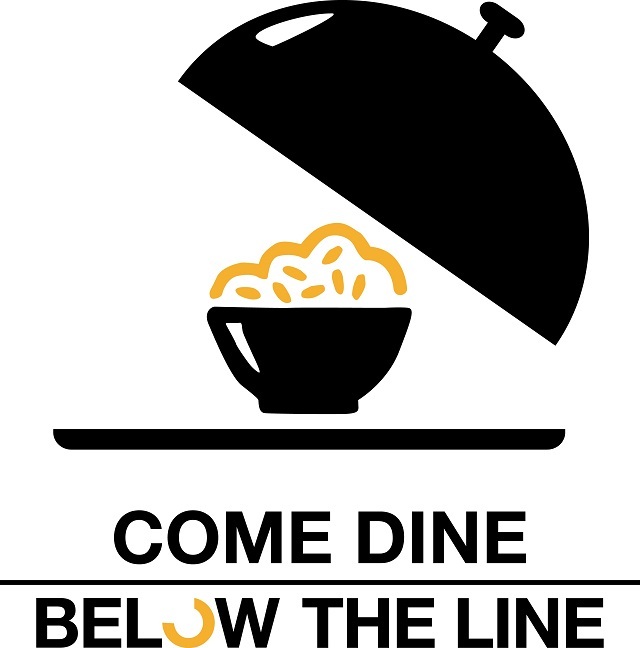 In short, however well-meaning its intentions, the Live Below The Line campaign seems to have turned into yet another conduit for putting people who are already privileged in the limelight. Maya Oppenheim is a freelance journalist with a strong interest in social policy and radical politics. You can follow her on Twitter: @MayaOppenheim. I think it’s true that by living off 1£ a day for food and drink while continuing “to cruise to work by car or public transport, blast heating, flaunt ample wardrobes” etc. you don’t really, completely understand what it means to live in poverty. But it all depends on the way you take the challenge, the reasons why you do it and the will you have to THINK about what you’re doing. I took the challenge this year for the first time and I can assure you that the thought of celebrating the end of the challenge with a big lunch didn’t even cross my mind. I didn’t feel happy at all at the end, I understood the sense of “not having a choice”, which is the worst thing about actually having to live like that every single day of your entire life. I felt humbled and pensive and ultimately quite guilty. The day after the challenge I could eat whatever I wanted, but I didn’t even want to. And the people taking the challenge with me on my team felt the exact same way. Also, some of us decided to start doing something more to help people in need. Therefore, yes, there are many people who completely misunderstood and distorted the sense of the Live Below the Line campaign, as you said. And I agree on the two posts you linked, I found them quite irritating too! But please, let’s not tar everyone (and the whole campaign!) with the same brush. Absolute rubbish. If done properly this campaign can be excellent at not only raising awareness of those living below the poverty line, but also raising valuable funds for worthy charities like VSO. My boyfriend, I believe, did the challenge to the extreme. He camped in woodland, cooked on an open fire using collected firewood, and truly ate on £1 a day for 5 days raising over £400 for charity and eating simply rice, spaghetti and stale bread. £1 gets you a lot less food in the UK than it does in some countries where the vast majority of population live below the poverty line too.